Hwang and his former doctoral student, Dr. Xiaojing Teng, zoomed into the question: if the genetic information is the same in all cells, as it should be, why do muscle cells look and act differently than skin cells? "To selectively turn on and off different genes to determine the cell type, you need to modify this gene expression, and one way to do that is to chemically modify DNA," Hwang said. 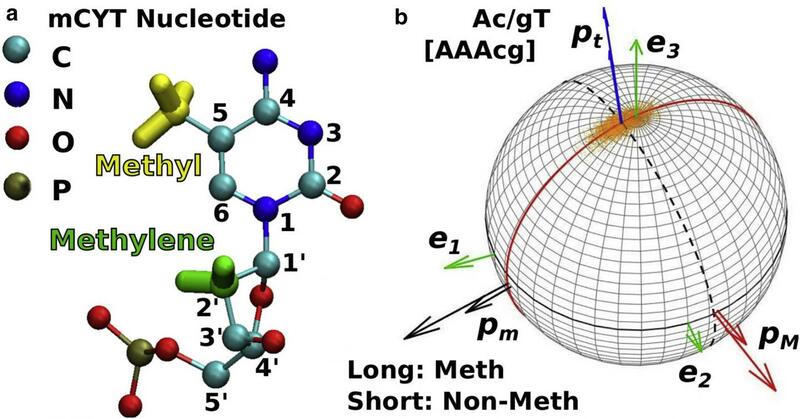 Through extensive simulations using supercomputers at the Texas A&M High Performance Research Computing Facility, as well as the Texas Advanced Computing Center at The University of Texas at Austin, Hwang was able to determine how the areas of DNA around the methyl groups bump against each other and alter mechanical behaviors. Along with that discovery, Hwang said they found another unexpected insight. Another is drug interaction with DNA and how drug design should take these water molecules into account. "This study won't immediately lead to a new drug, but it provides one more step toward more rational drug design," Hwang said. "People have been working on cancer for decades, and I don't claim that I can solve the problem right away. But all of these efforts make step-by-step progress in the right direction." Hwang said the method developed by his team opens the door to analyzing other types of DNA or RNA modifications and how their behavior changes depending on what drugs are introduced. The article was featured on the cover of the April 24 issue of Biophysical Journal, which is a premier scientific journal in quantitative biology published by the Cell Press.